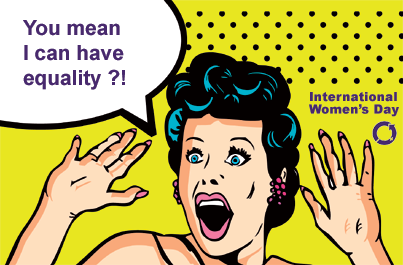 The 8th of March is the international women´s day. In the 21rst century women are supposed to be emancipated, free and equal with men. Why we should open our eyes and face a rather awkward truth, even in the middle of Europe? First lets ask, why in the so called highly developed countries in central Europe activists try to improve the situation of women, such as equal payment, violence against women or abuse, if it was not necessary? According to a newspaper (Austria, die Presse), 62 Million female EU citizen have been victims of physical or psychological violence since the age of 15. This statistics was made by FRA, a basic rights agency under contract to the European Union. 42.000 women between 18 and 30 years took part at the heretofore biggest survey about violence against women at working places, home and public places. 33% of all asked women have been violated minimum one time in their life. Unfortunately there are only a few activists and some human rights organizations, which are trying to improve the situations or making the topic public through shocking documentaries. Several hundreds of problems all over the world connected with women are well known, doesn´t matter to which country we pay our attention. There is a human slave trade organized from Namibia to bring young women to Europe, where they work as prostitutes, there are the well known Taliban in Afghanistan, which inexpressible put force against women, forced marriages and all its consequences… Honestly it is not necessary to look out of the boarders of Europe to the big cruelty of mankind, inside of Europe a lot of crime is still going on. Women trade, forced marriages, forced prostitution, violence, unequal payment etc.